Spotify, one of the top audio streaming platforms, has announced new analytics tools to help artists and labels measure how ads impact users’ in-app activity. The update offers several “streaming conversion metrics” that are designed to help those with content on Spotify understand how listeners responded after they heard your ad. To be clear: this is not for standard Spotify ads you’d take out under “Spotify for Brands.” These are specific to Spotify’s Ad Studio, which launched in 2017. While Spotify For Brands is designed for the display and audio ads that will take you off the website, Spotify’s Ad Studio is for artists, podcasters, or labels that have content within the Spotify app. Ad Studio allows artists to share short audio ads that are played between songs for non-premium Spotify users. Artists can promote new music or playlists, or non-music related content like merchandise, events, and more. Until recently, Spotify’s Ad Studio metrics were fairly limited - only offering basic information such as clicks, demographic data from your audience, and the genre they were listening to when they heard your ad, but nothing that could provide concrete, actionable insights into performance. Ad Studio users can draw conclusions on campaign performance and make more data-driven decisions on future campaigns with these new tools. Those that got access to the beta test were pleased with the insights it helped generate. “With Spotify's new advertising capabilities, we’re getting insight into not just how our campaign is resulting in streams, but deeper actions for an artist like how those listeners are turning into fans and adding a song to their playlist or hearting a song. Those are the holy grail of metrics for an artist to know,"
Why Is This A Win For Spotify? It can be easy for platforms to cater all of their advertising capabilities to big-budget brands, but it’s important that the people providing the content have an effective way to expand their reach as well. 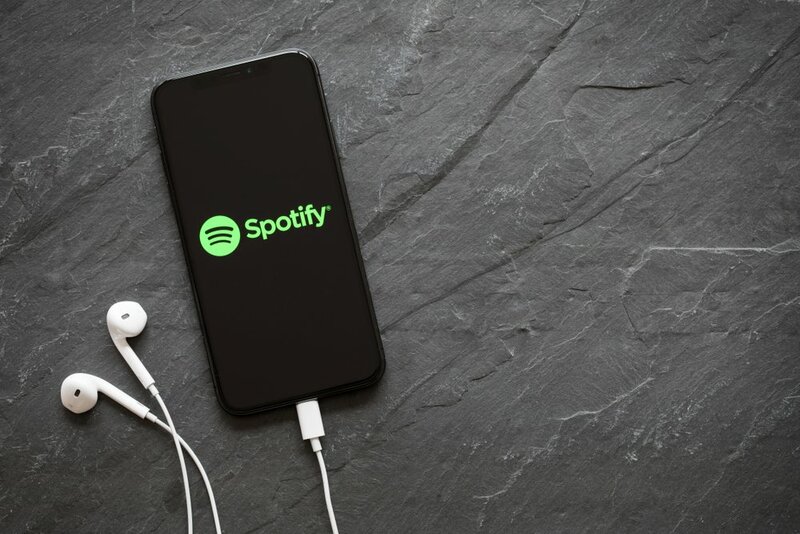 Having an outlet specifically designed for artists allows Spotify to keep their content creators happy, while also showing users targeted new content they might enjoy. In this way, Spotify directly benefits from both the ad revenue and its results. So, if they can provide more details to help artists improve their ad performance, they’re creating a self-serving way to attract more loyal listeners to the platform. Moreover, by offering these unique insights, it keeps artists happy, and increases the likelihood they’ll stay on Spotify, which also directly benefits the streaming platform in the long run. If you have a podcast for your brand, (IMPACT has several podcast and shows you can view here) taking out these studio ads can significantly increase your reach and help you understand your audience base. This can be particularly beneficial if your brand has a big event, promotion, or other event going on that you dig into deeper during an episode by helping spread awareness and attract potential new fans to your content. Additionally, this is an important lesson in customer delight, and diversifying your revenue to benefit your business. In Spotify’s case, their standard model was working fine, but it wasn’t keeping the people producing the content (which is what’s bringing paying users to the platform) as happy as they could be. By introducing the Ad Studio, and now offering valuable metric sets for them to boost performance, they’re created a dynamic that directly benefits their artists, users, and their bottom line. It goes to show that thinking outside the “traditional” model can have a big payoff. It will be interesting to see if these additions will help smaller artists grow their audience within the platform in the near future.